For use to remove heavy vct, vinyl, carpet. Must have at least 14 gauge extension cord. 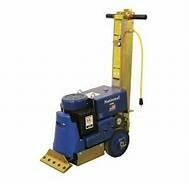 * Please call us for any questions on our floor stripper heavy electric rentals in Hagerstown MD, Williamsport MD, Martinsburg WV, Waynesboro PA, Mercersburg PA metro areas.